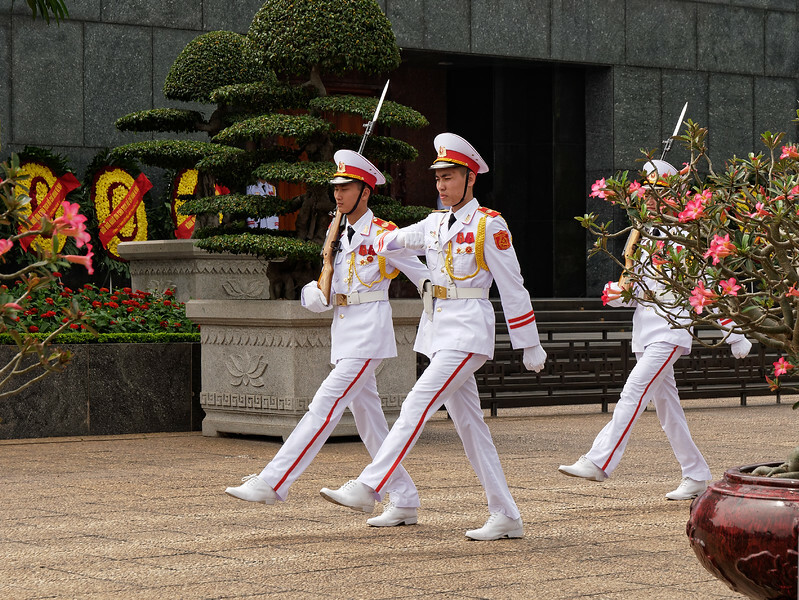 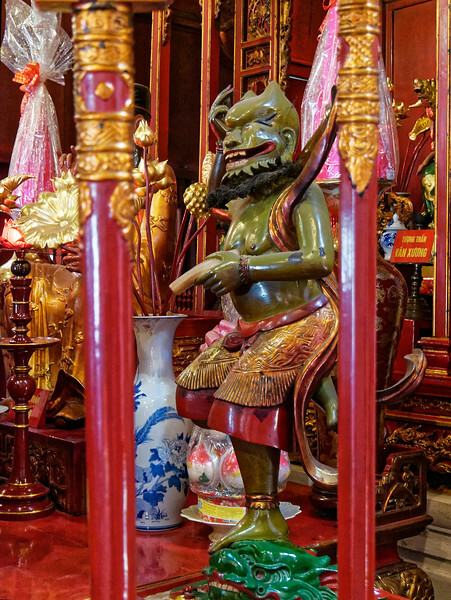 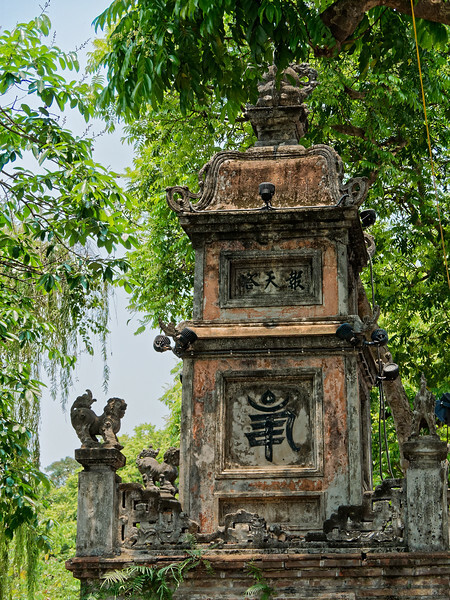 Our limited time in Hanoi meant we were able to visit just a few of the city's many temples and monuments. 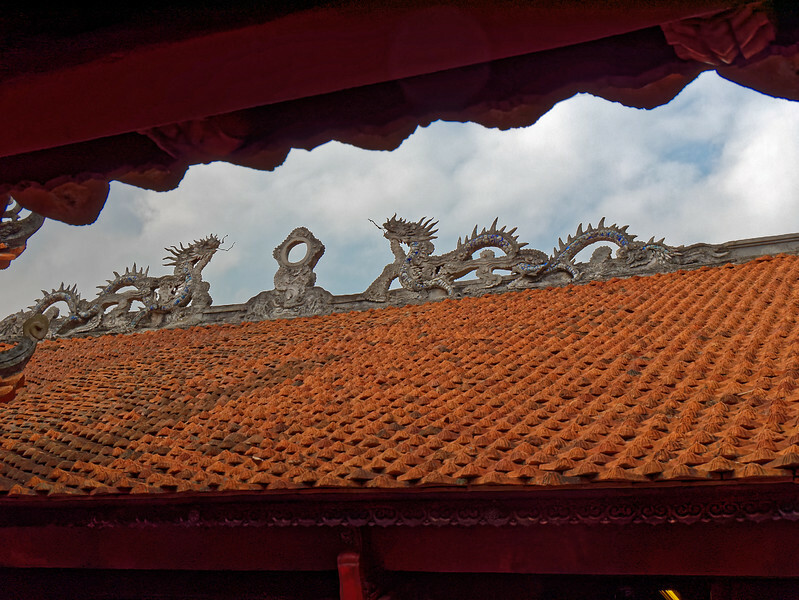 Those that we got to may be seen in this gallery. 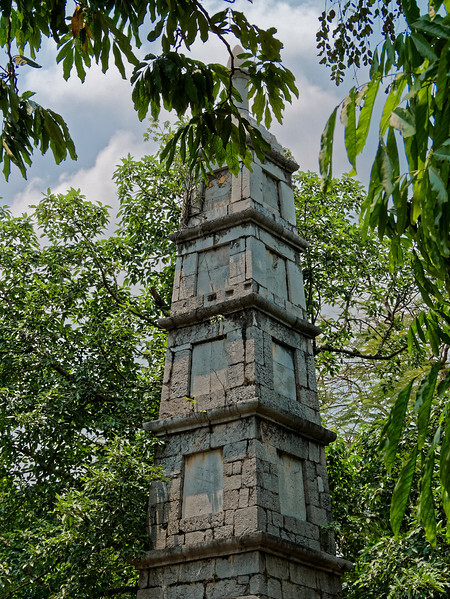 The One Pillar Pagoda was built between 1028 and 1054 and restored after the departing French partially destroyed it in 1955. 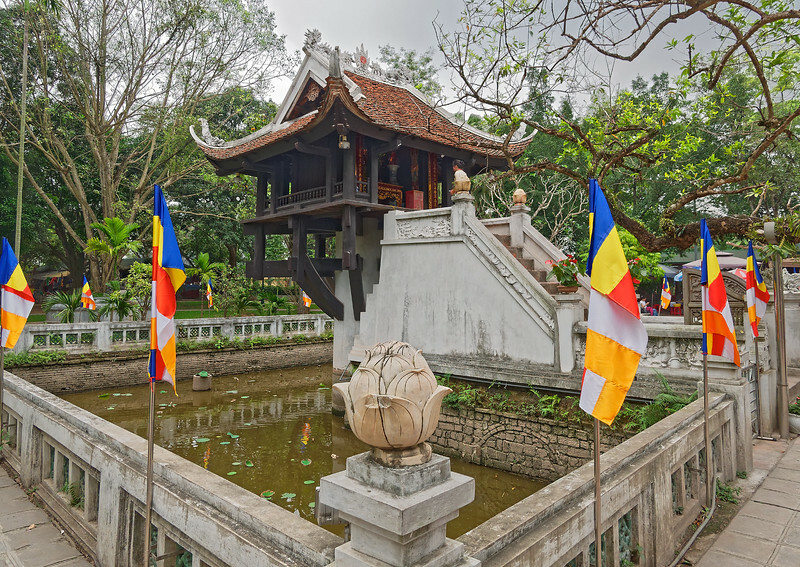 The small wooden structure sitting atop a single concrete (originally stone) base was meant to resemble a lotus flower rising from the lotus pond in which it is sited. 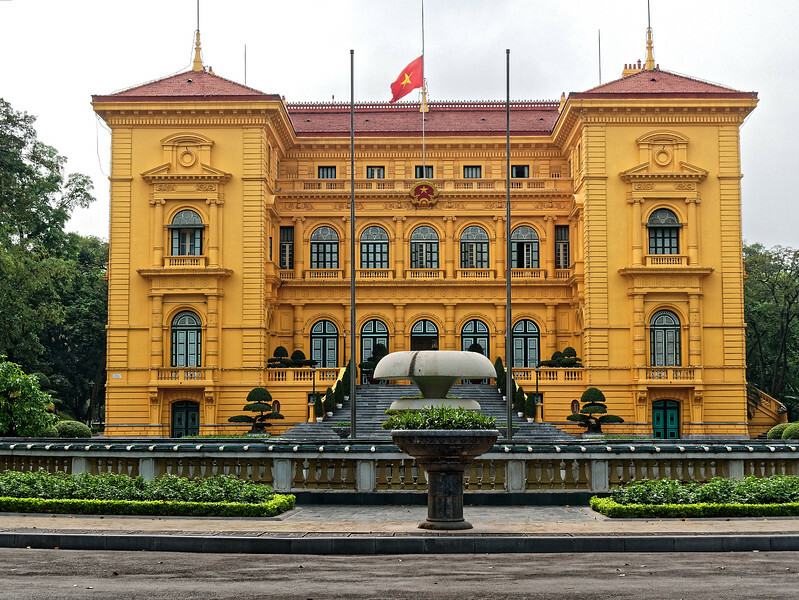 The French-Colonial style Presidential Palace, under construction from 1900 to 1906, was originally built to accommodate the Governor General of Indochina. 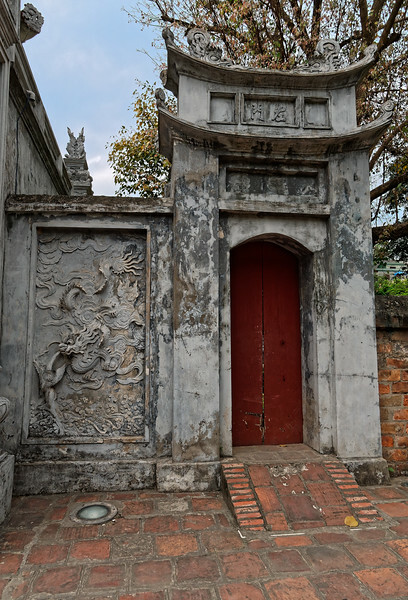 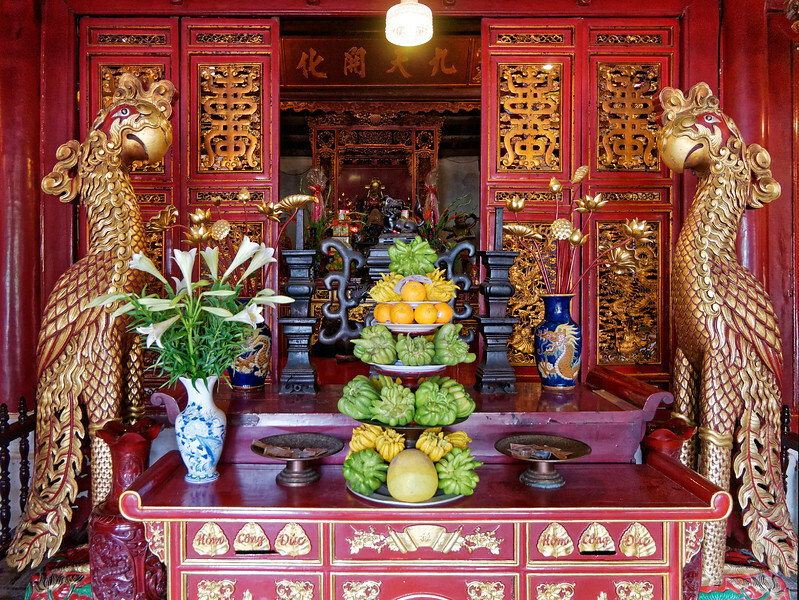 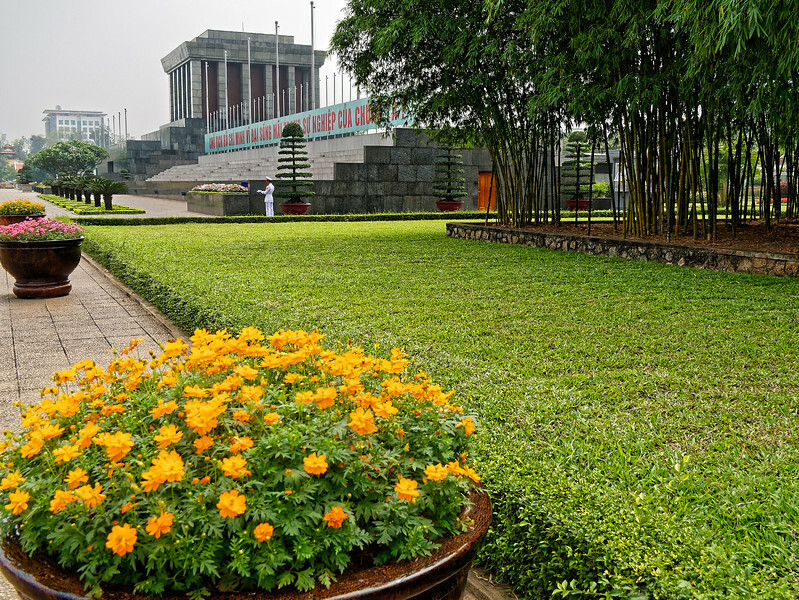 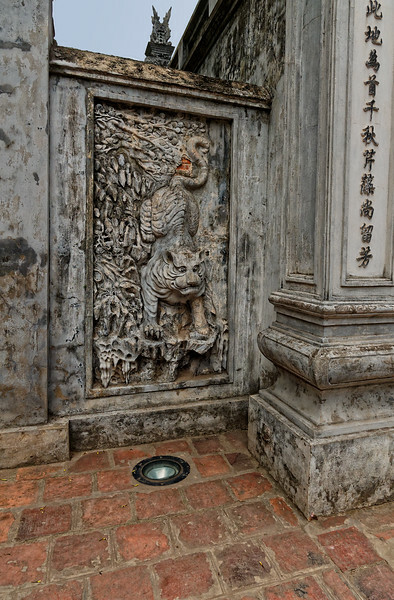 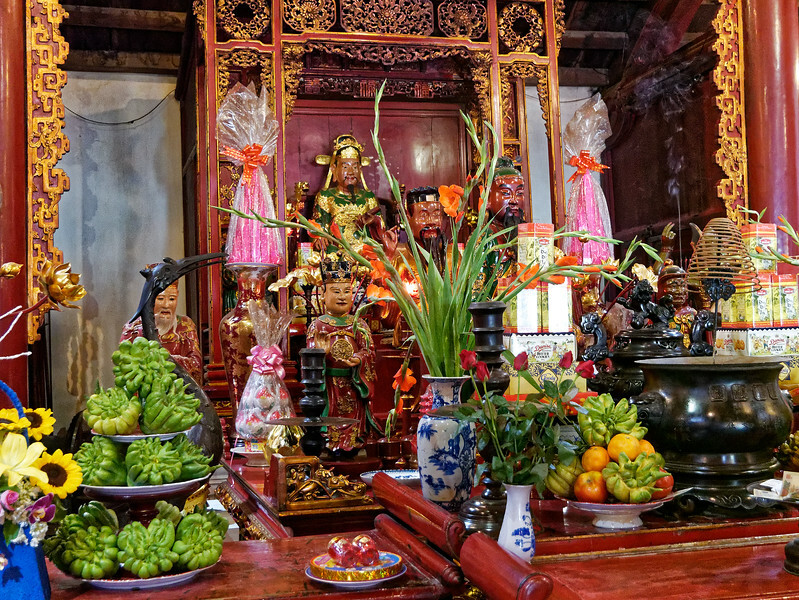 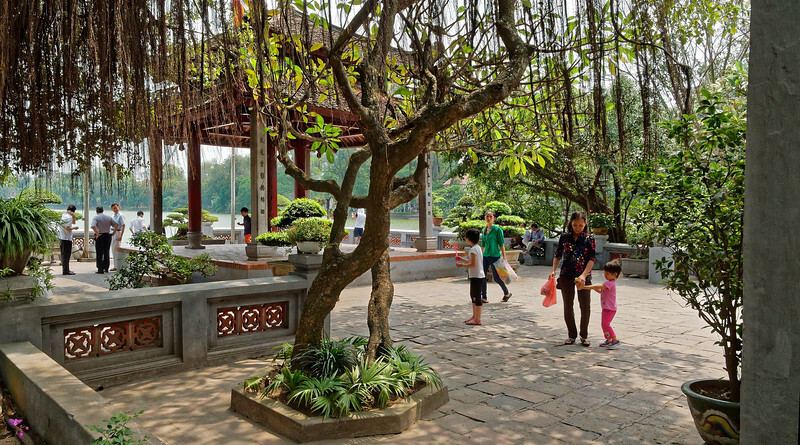 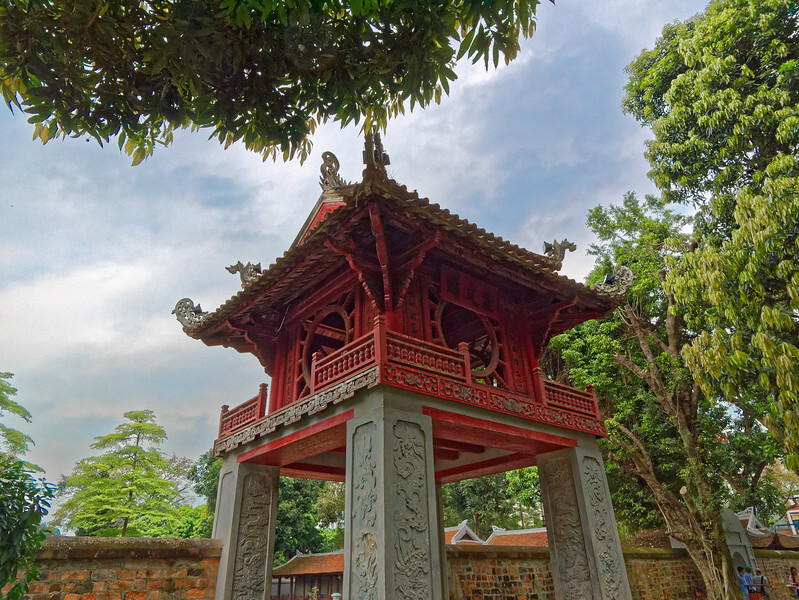 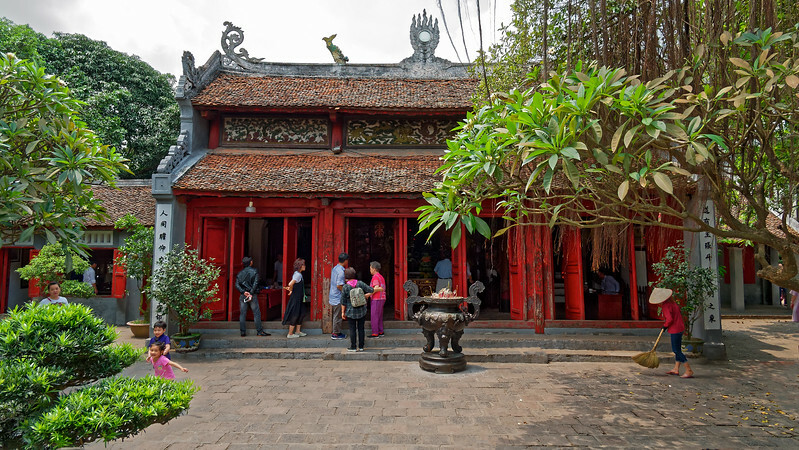 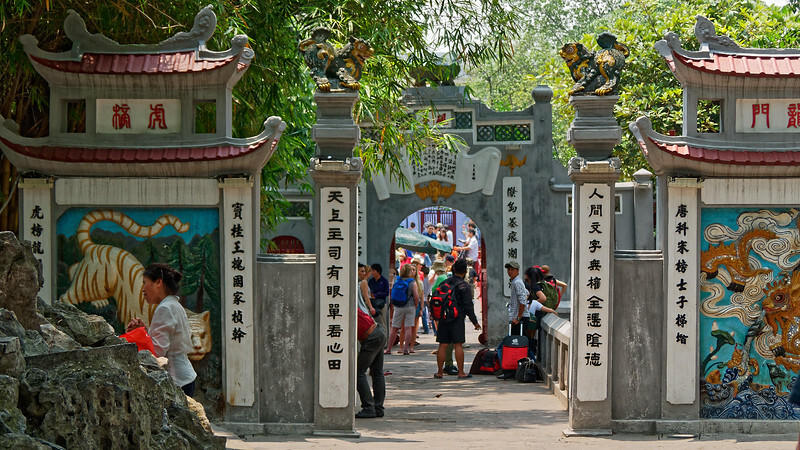 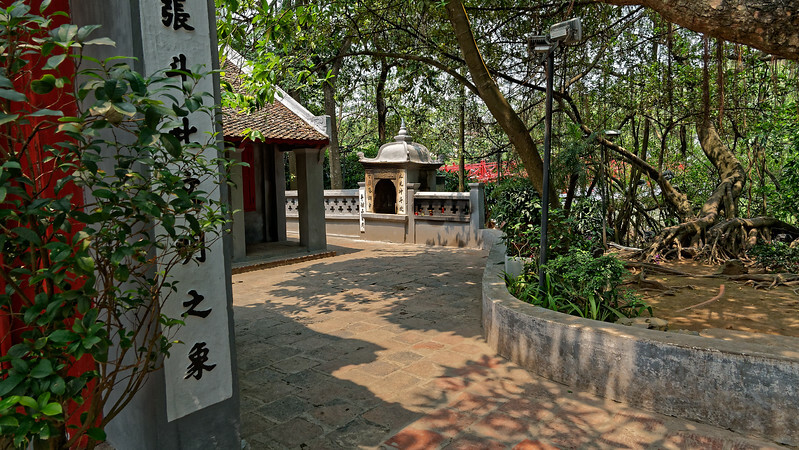 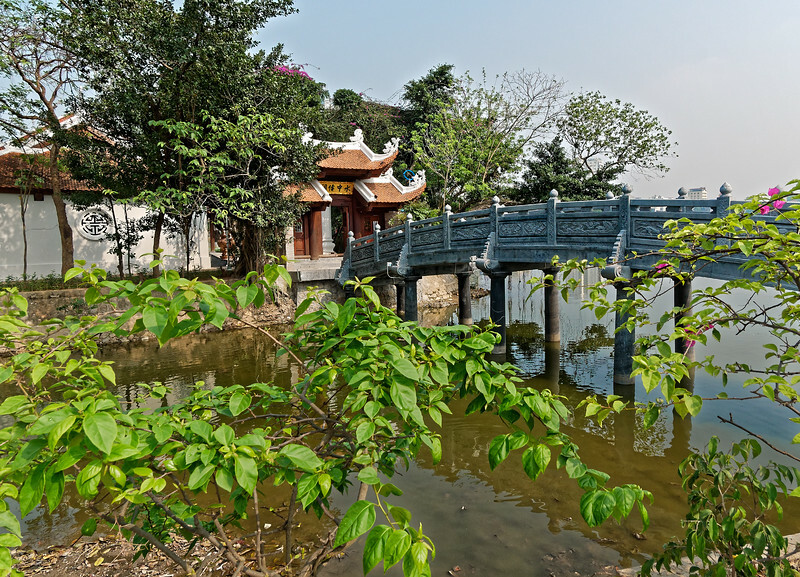 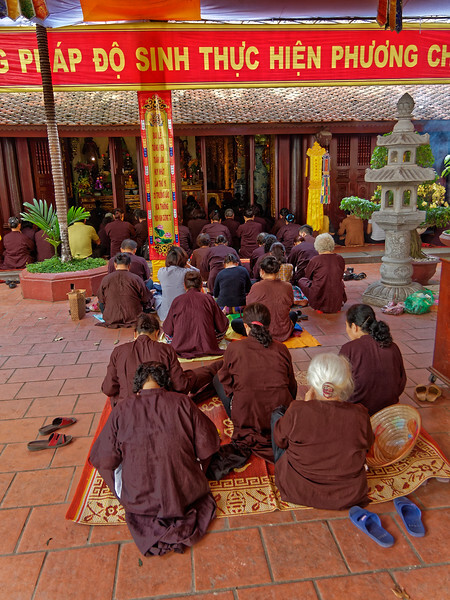 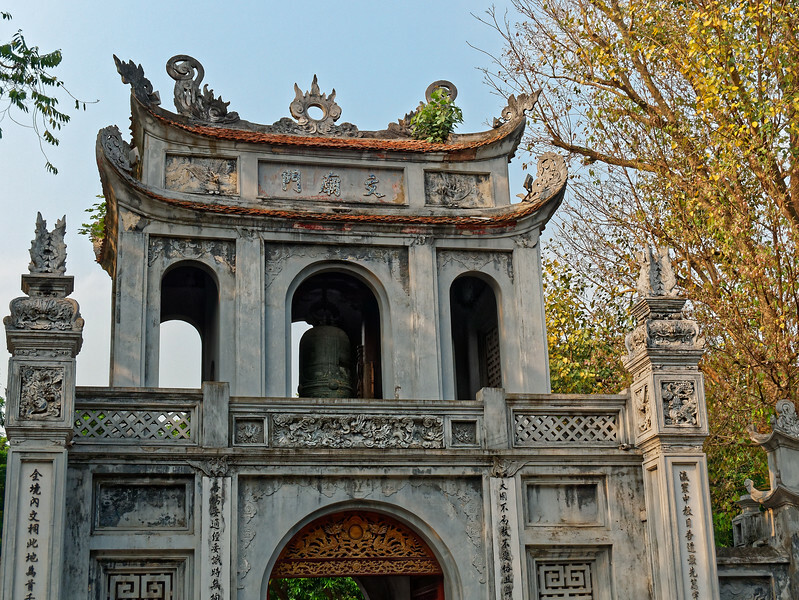 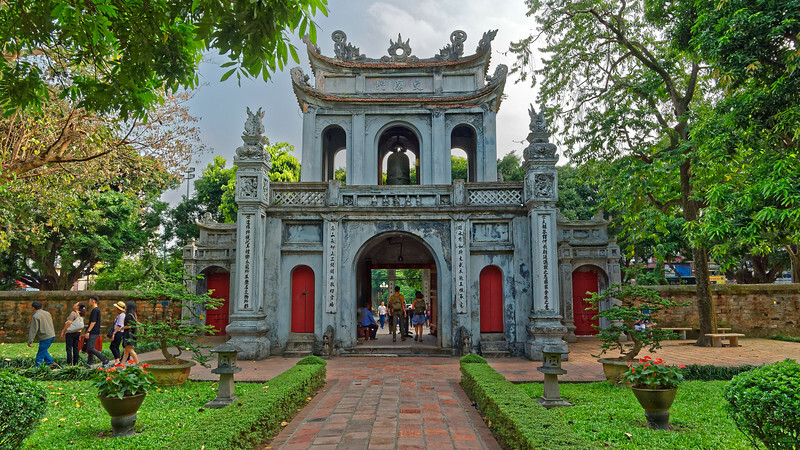 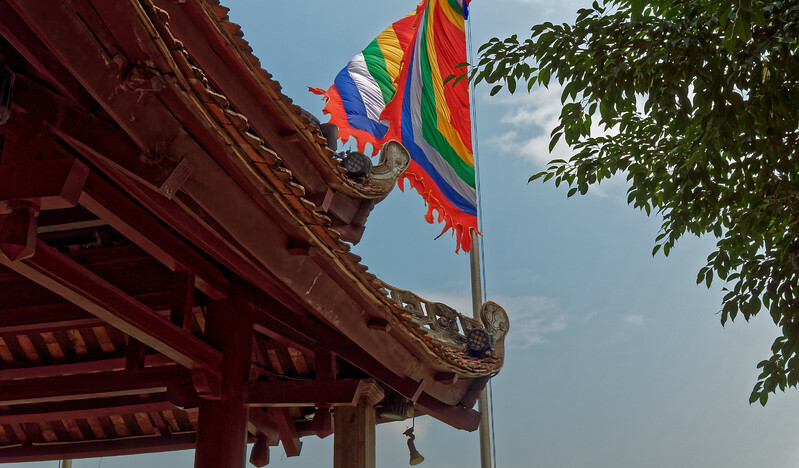 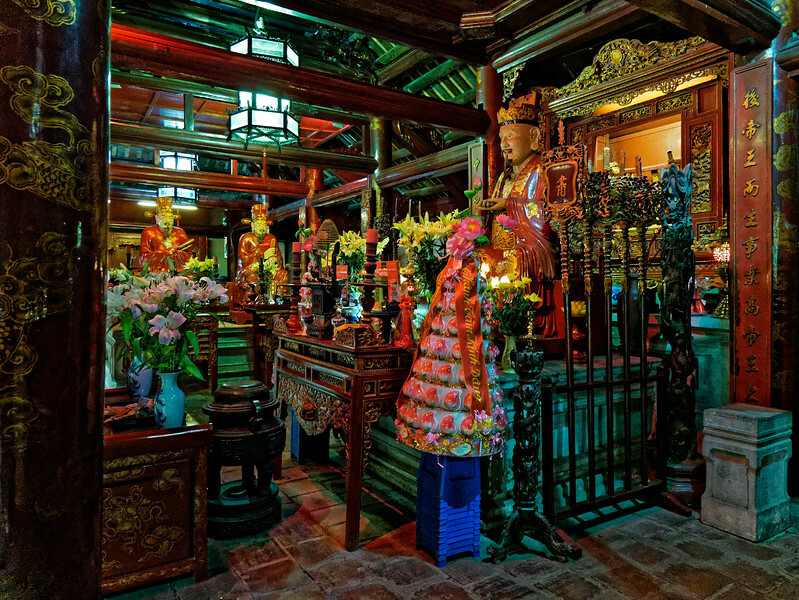 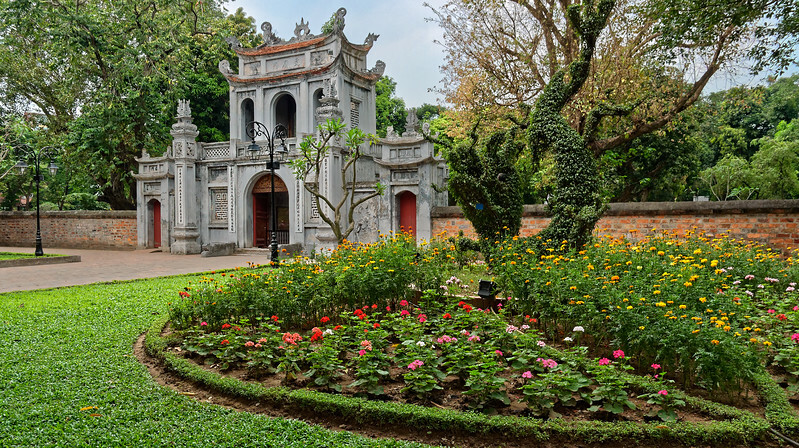 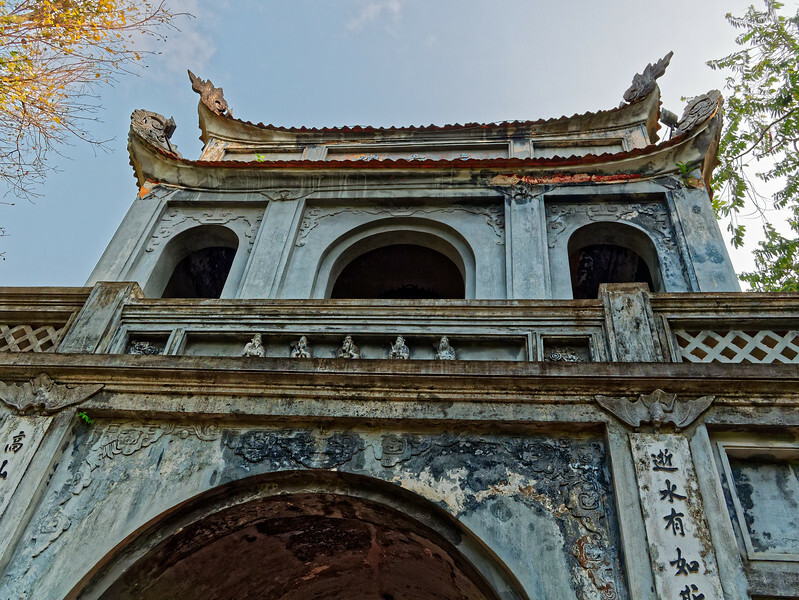 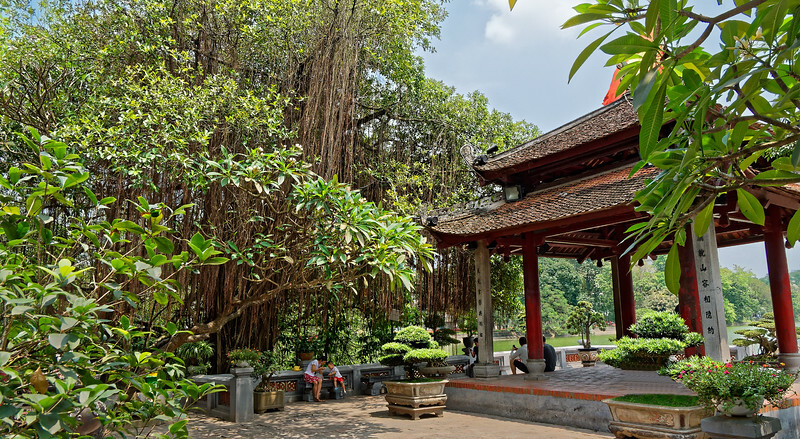 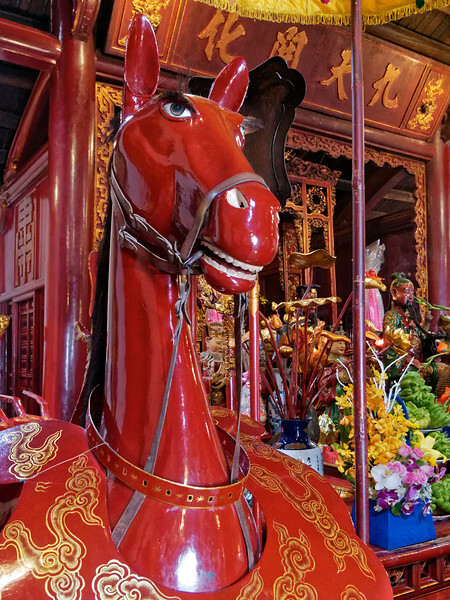 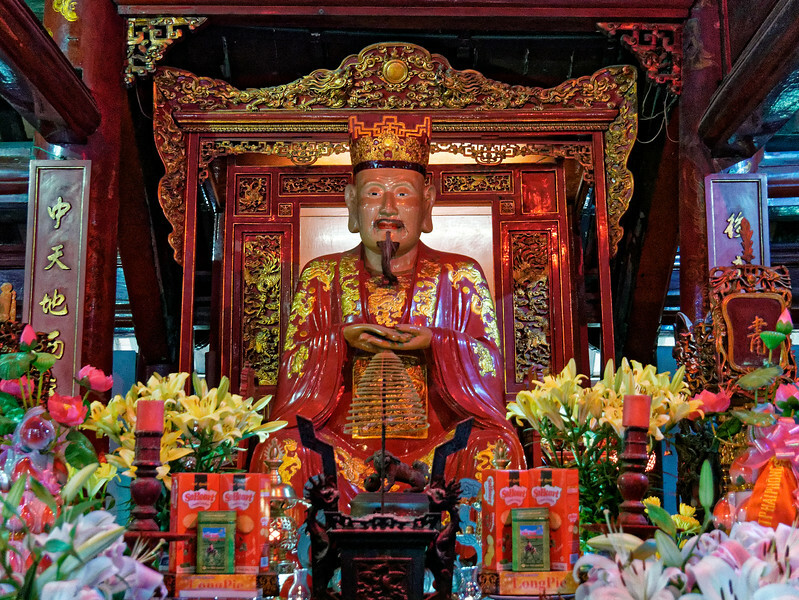 Tran Quoc Pagoda, on the eastern shore of Hanoi's West Lake (Ho Tay), is the city's oldest Buddhist temple and one of the oldest pagodas in Vietnam, possibly dating from as far back as the 5th century. 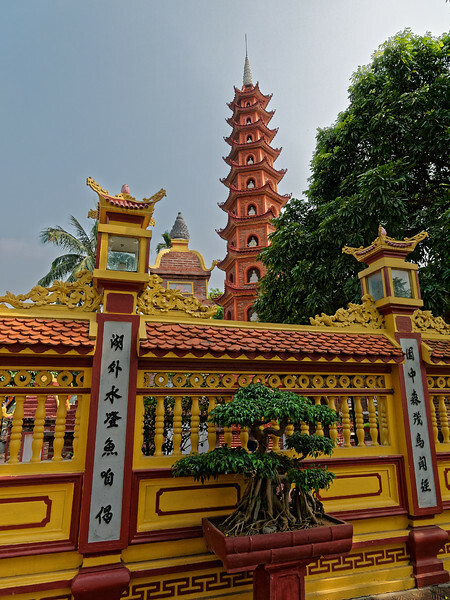 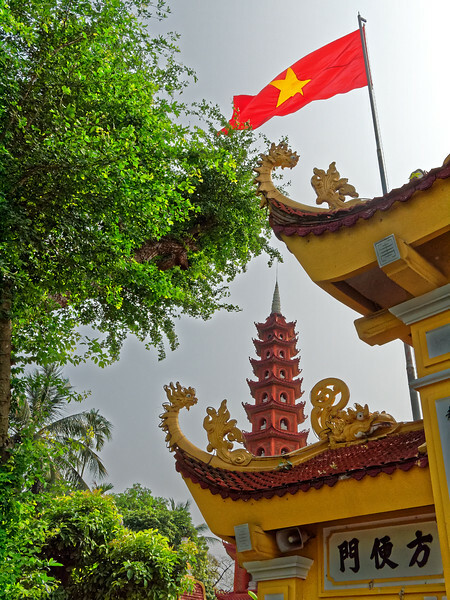 Tran Quoc Pagoda was rebuilt in the 15th century and again in 1842. 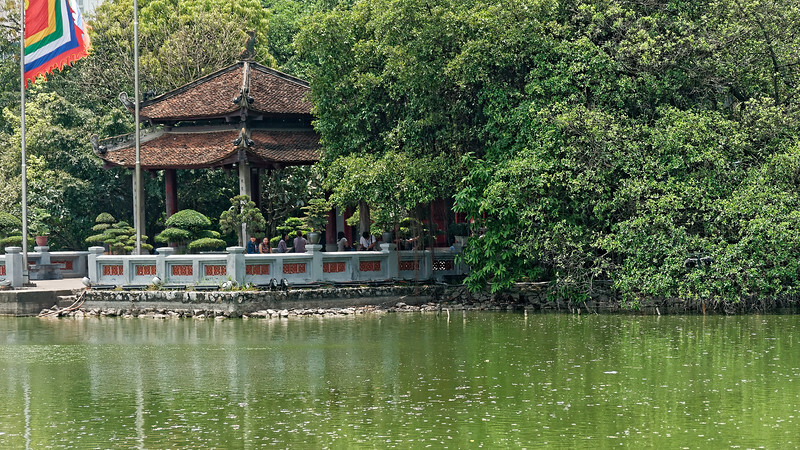 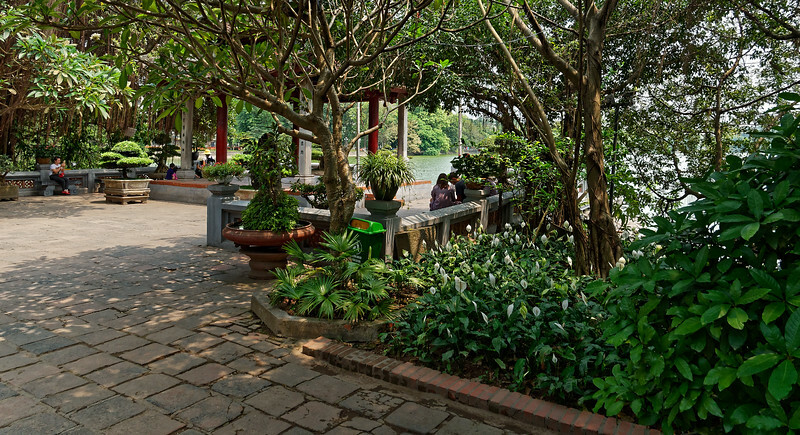 Ngoc Son Temple sits on a small island at the northern end of Hoan Kiem Lake. 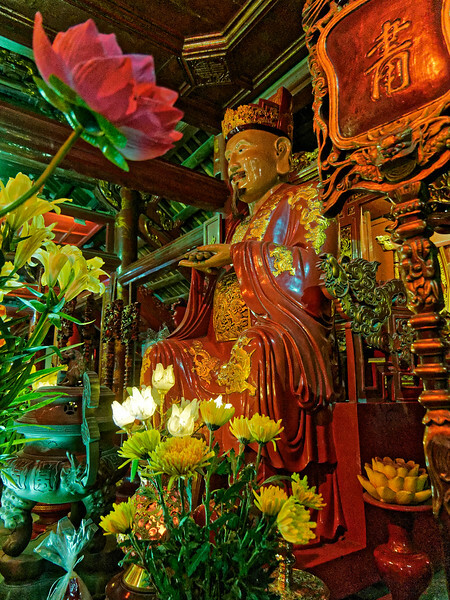 The name translates as 'Temple of the Jade Mountain,' and the island it is on is called Jade Island. 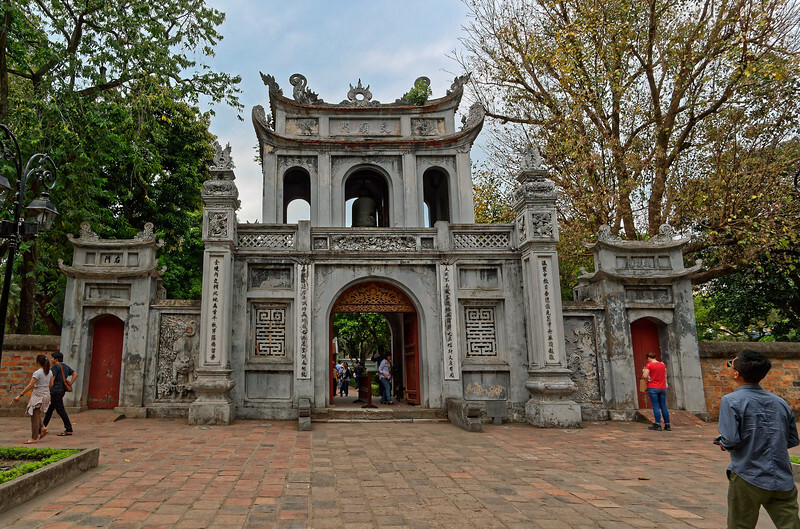 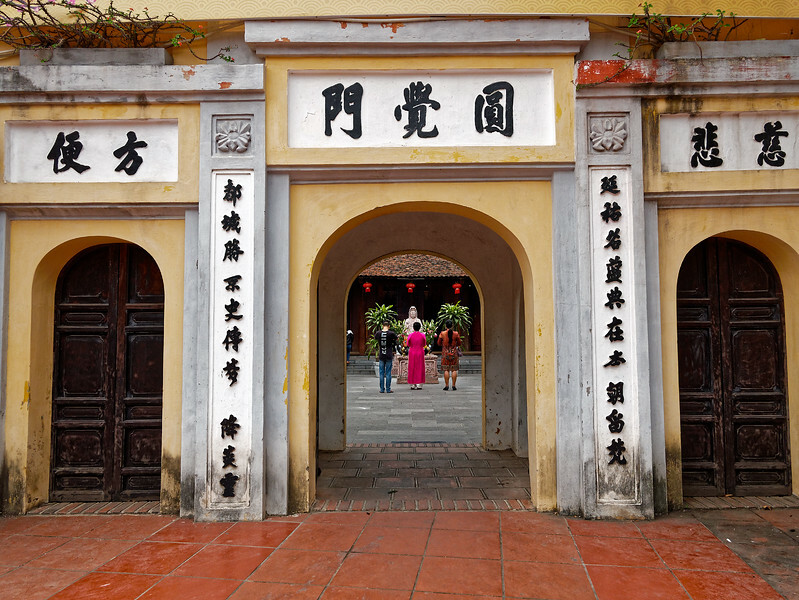 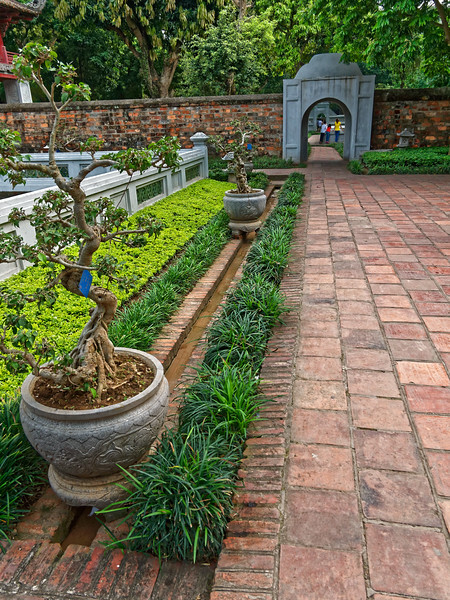 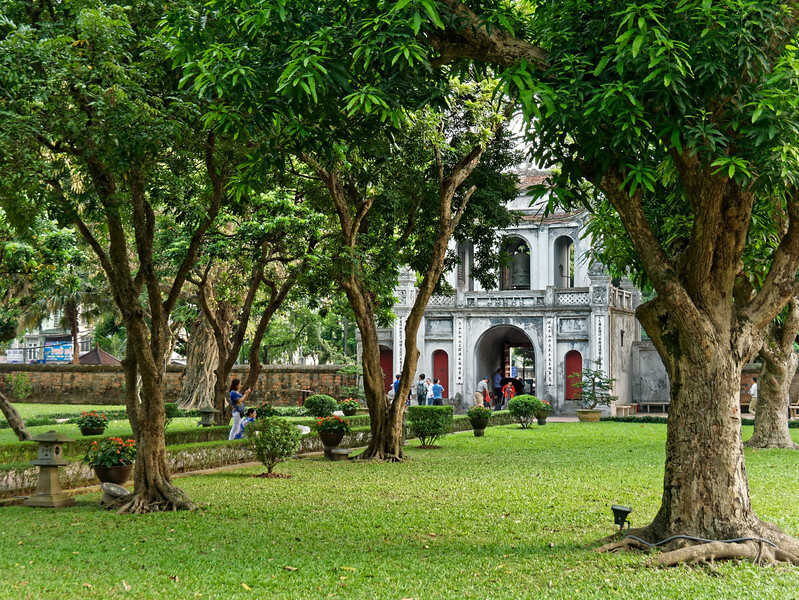 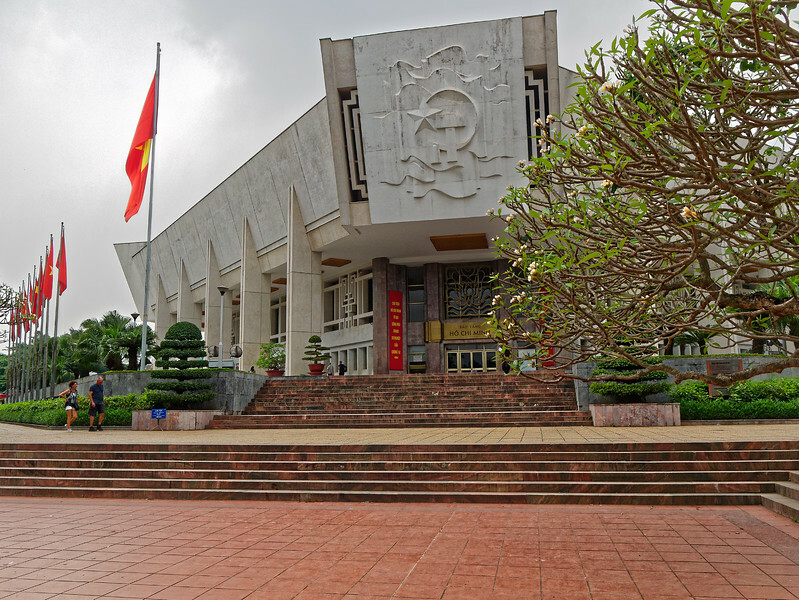 The Temple of Literature is the site of the oldest university in Vietnam. 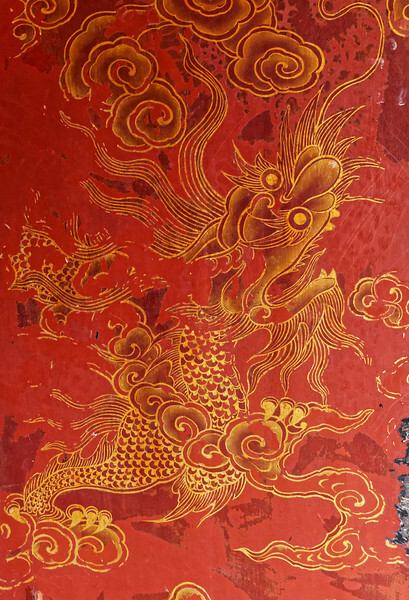 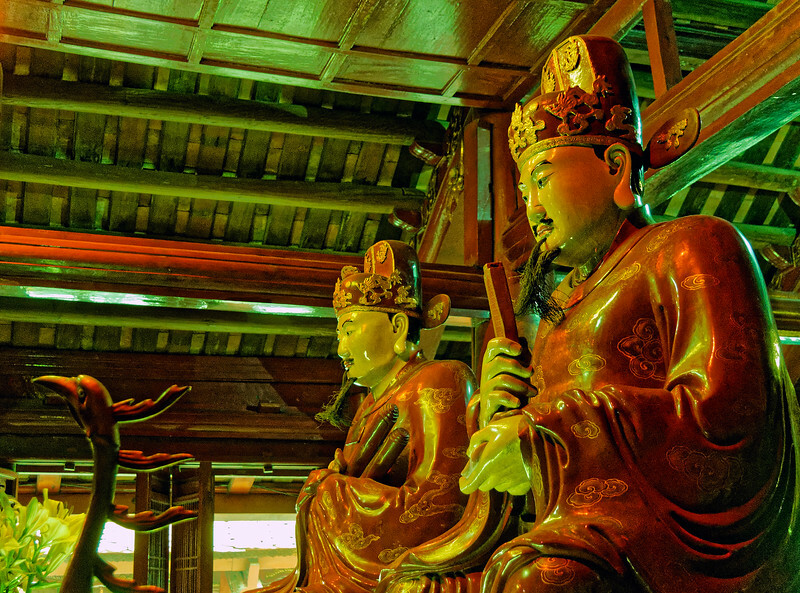 Dating from the year 1070, it was dedicated to Confucius and to scholars and sages.